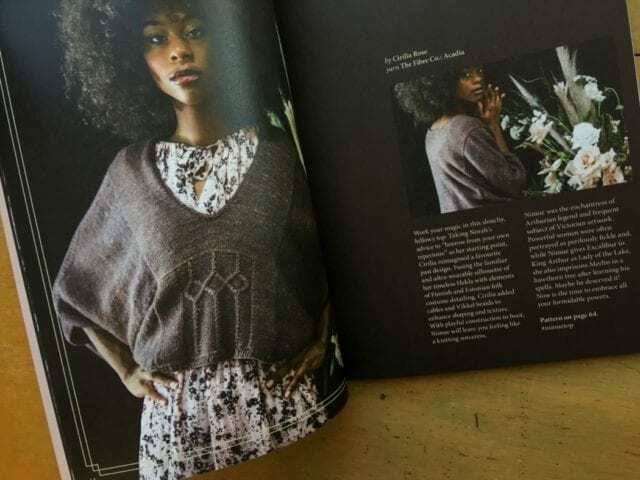 Pom Pom Quarterly: Winter 2018. 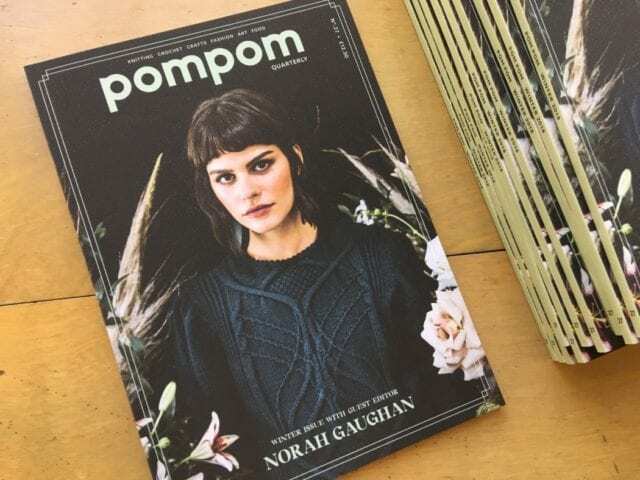 The Winter 2018 issue of Pom Pom Quarterly has arrived here at the shop! Pom Pom is a beautifully designed magazine, carefully put together by writers and editors who clearly love printed matter as much as they love knitwear. This issue is guest edited by none other than Norah Gaughan, who was also featured in the most recent Mason-Dixon Knitting Field Guide. 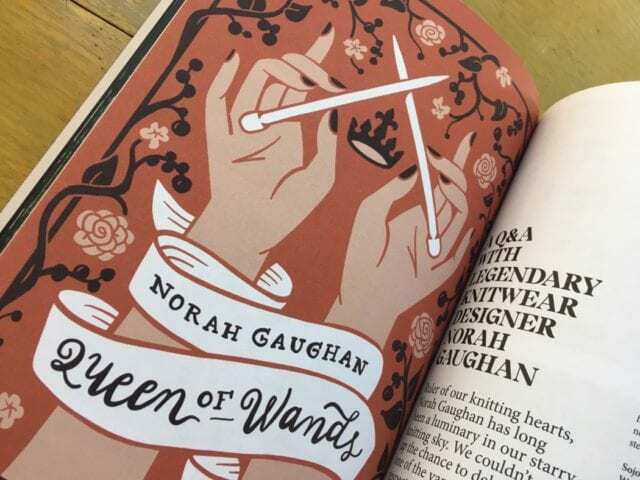 Fans of Norah Gaughan have a lot to be excited about this season! “The knits in this issue are imagined for the modern heroine,” write the Pom Pom editors, and the designs do evoke strength and drama. They are also highly embellished, whether with whimsical tassels, graphic colorwork, bold cables, bobbles, or gathers. 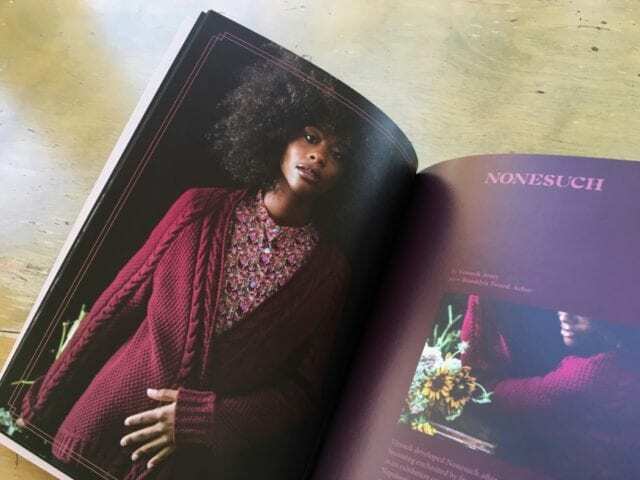 Many of the designer names in this issue are familiar, the likes of Joji Locatelli, Caitlin Hunter, Andrea Rangel, and Veronik Avery, whose contribution is knit with one of our favorite yarns, Brooklyn Tweed Arbor. 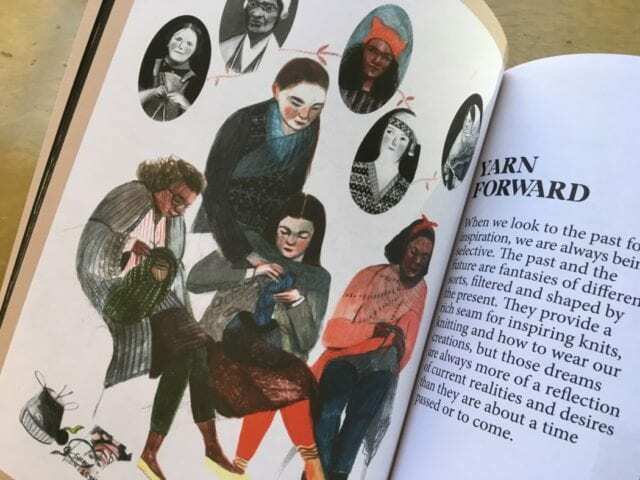 Anna Maltz’s column is always a thought provoking, interesting read, focusing this time on notions of tradition and historicity in knitting. She rightly points out that “Tradition is not inherently good,” and asks instead that we celebrate the ever-evolving nature of our craft, and the talented people that continue to contribute to it with new designs, techniques, and technology. 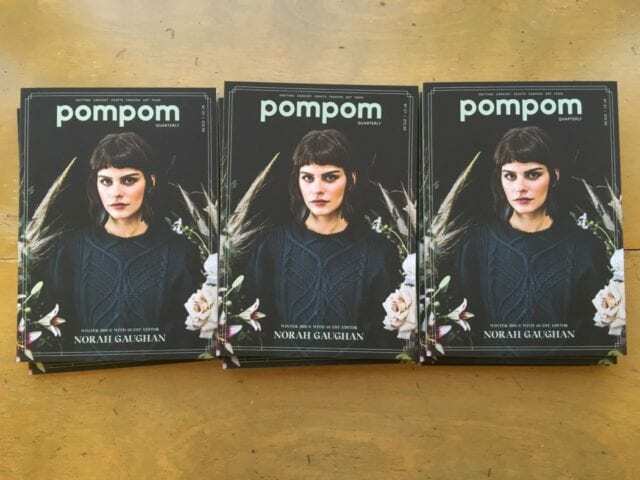 Come by the shop to get a closer look at this striking issue of Pom Pom!